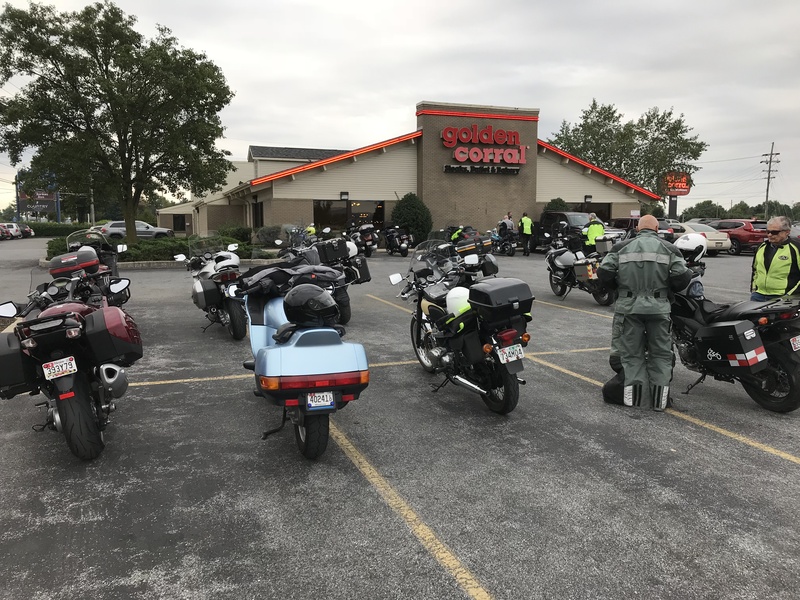 8:30 am breakfast route sheets will be handed out for a 135-mile self-guided ride that will end at Brown’s Orchard in Loganville PA. The ride will take you on some of the FINEST Motorcycle riding roads in the area. Come out and show your support for Sport Touring at its finest. You will ride in Maryland, Pennsylvanin. This thread also has the ride info and the route sheets and GPS files. Long range weather look good for Sunday ride. Who know what I will be riding. I plan to be there. Have to ride sometime this summer. Another shutout yesterday due to more rain. It was finally a beautiful day for riding motorcycles! Much of the conversation pre-ride centered around how bad the riding was for most of the summer. The 24 or so that showed up for the ride were throttled up and more than ready to pile on some miles. Russell laid out a new route, and it swung by his house, no doubt to pick up Vickey. Nearly everyone on the ride ended up stopping at Russell’s house, and it had the nostalgic feeling of a North/South event. 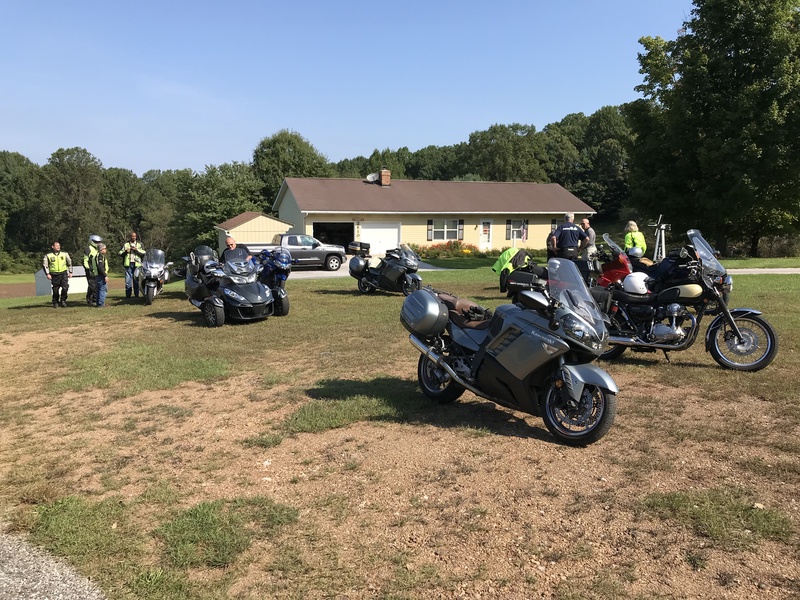 After the beans in the field behind his house were well watered, we re-shuffled the riding groups and most but not all rode the twisty scenic roads to the lunch spot at Brown’s Orchard in Loganville, PA.